Did Briana find out a shock about Stella? 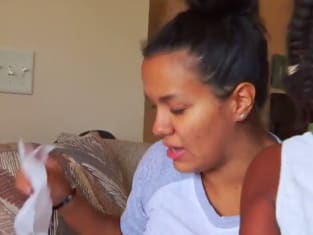 That was revealed on Teen Mom 2 Season 9 Episode 14 when Briana rushed Stella to the hospital and tried to find a way to get the truth. Meanwhile, an unexpected court date threatened Kailyn's vacation, but did she have to return to her old stomping grounds? Also, Chelsea attempted to modify Aubree's custody agreement, but did it fall on deaf ears? Get caught up on the latest trials and tribulations for the teen moms.